‘Gotham’: New Finale Poster Reveals Batman!! Check It Out!! | Welcome to Moviz Ark! ‘Gotham’: New Finale Poster Reveals Batman!! Check It Out!! 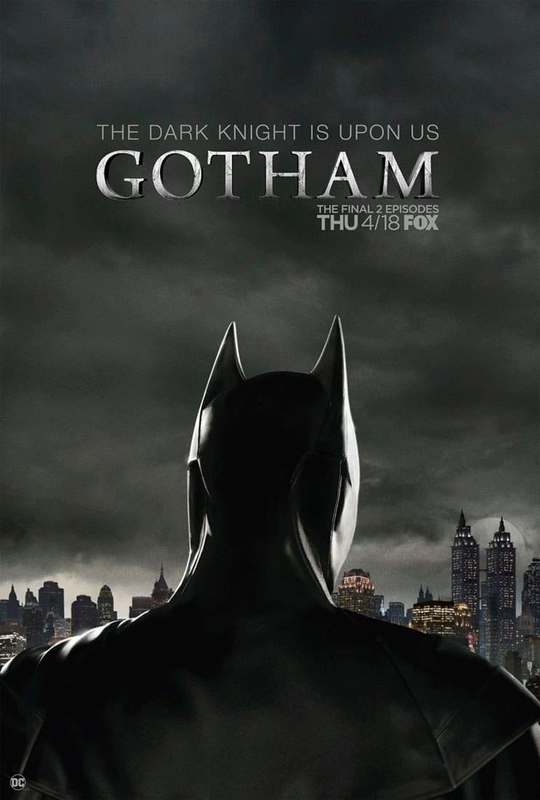 With Gotham season 5 set to return in three weeks for its final two episodes, Fox has released a rather exciting new poster which teases the arrival of the Dark Knight, who is set to appear in the series finale as we flash forward ten years into the future. Gotham season 5 airs on Thursdays on Fox. ← ‘Homeland’: Hugh Dancy Joins Final Season!! !